"Bailey Ruth and Wiggins will delight readers who prefer their mysteries light and seasoned with wit and the supernatural. "This could be Hart's best series yet." 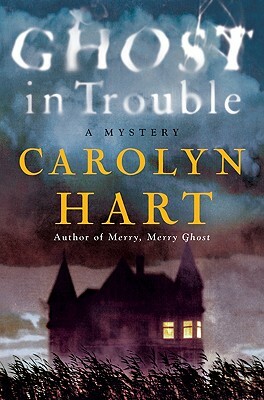 Spectral sleuth Bailey Ruth Raeburn from Heaven's Department of Good Intentions is on the case again in Carolyn Hart's delectable Ghost in Trouble--the third in the multiple Agatha, Anthony, and Macavity Award-winning author's acclaimed mystery series sprinkled with wonderful wit and more than a touch of the paranormal. The follow up to the acclaimed Ghost at Work (named one of Publishers Weekly's Top Books of 2008) and Merry, Merry Ghost, Hart's Ghost in Trouble brings Bailey Ruth back down to Earth to save a human in dire trouble...who just happens to be the phantom problem solver's mortal enemy.